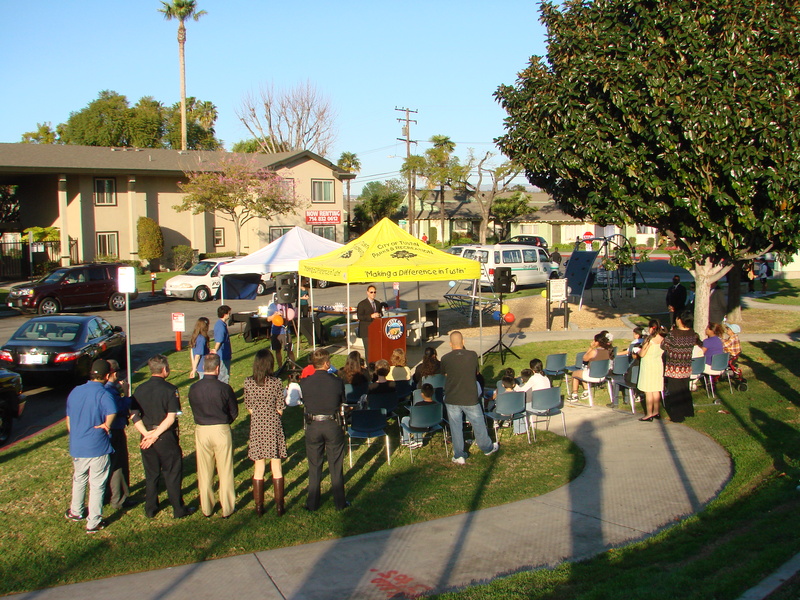 February 8, 2012 was a special day for the folks in Southwest Tustin when the city re-opened the Mcfadden-Pasadena Parkette. 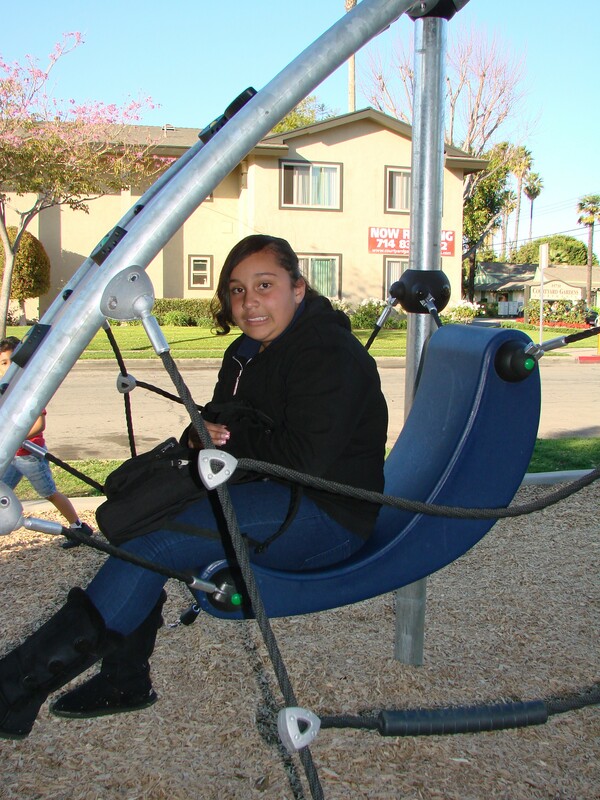 According to Tustin Communications Director, Lisa Woolery, the neighborhood celebrated with refreshments while children played on the new equipment. There were plenty of speeches and lots of fun, including Woofer the mascot. Mayor John Nielsen and Mayor pro tem, Al Murray, climbed atop one of the structures to officially cut the ribbon and open the park. space is needed as Southwest Tustin suffers from a severe lack of park space. What is really great is the City rallying its resources for the folks who live here. That’s what makes Tustin one of the most desirable places to live in the country. Good show, Mayor Nielsen and Council. This is the kind of thing Our Town Tustin likes to see. Posted on February 14, 2012, in In the News, nonpolitical and tagged al murray, john nielsen, Tustin, tustin city parks. Bookmark the permalink. Comments Off on Neighborhood Park Re-opens.